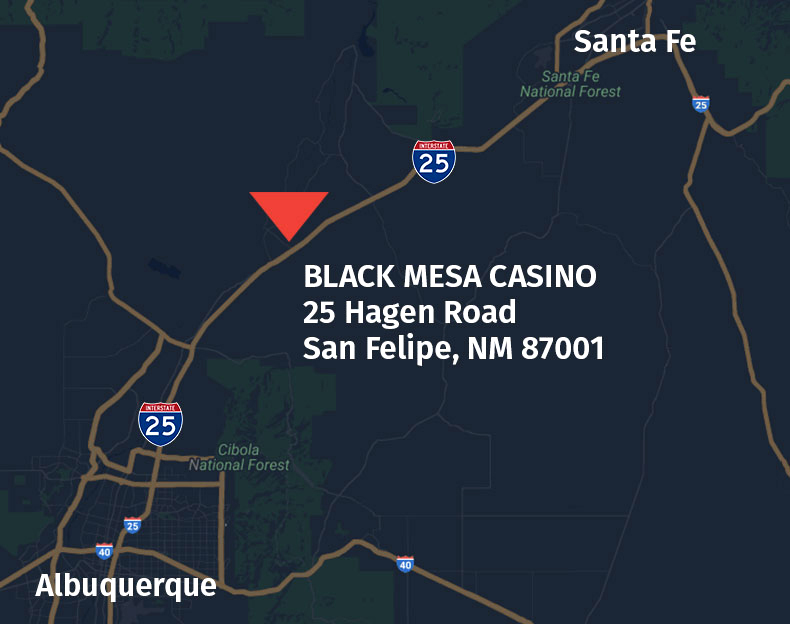 Guests of Black Mesa Casino also receive celebrity service at the Black Mesa Travel Center adjacent to the casino. 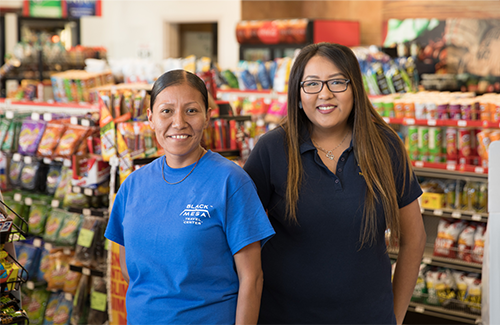 A 24-hour convenience store and service station offers snacks, beverages, personal items, gasoline and diesel fuel. 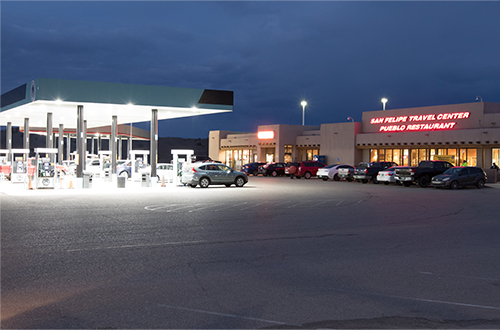 Black Mesa’s Travel Center is an oasis for the New Mexico traveler, be it business or pleasure. The Travel Center offers a relaxed environment for both the professional driver as well as family vacationers. Ample parking in a safe and secure area is available for cars, trucks and RV’s. RV spaces with electrical hook-up and an RV waste disposal site are available through the Welcome Center at Black Mesa Casino. Don’t forget, you can now redeem your Players Club Card points for gasoline and other great items from the Black Mesa Travel Center. Sign up today! The Pueblo Restaurant, located inside Black Mesa’s Travel Center, features an award winning New Mexican menu – daily from 6 a.m. to 9 p.m. The Slot Stop, offers your favorite slot and video machines at the Travel Center. Don’t forget, you can now REDEEM YOUR PLAYERS CARD POINTS FOR GASOLINE and other great items from the Black Mesa Travel Center. Sign up today! 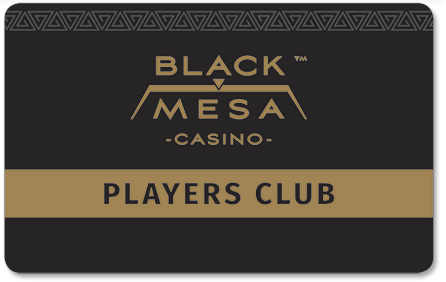 Black Mesa Casino proudly presents the Players Club Card. 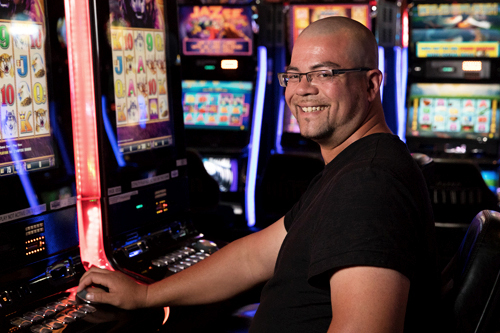 Not just another player’s club, Black Mesa Casino’s Players Club offers exclusive rewards to card holders such as gasoline, special giveaways, and much much more. You can sign up for your Players Club Card at Black Mesa Casino’s Welcome Desk and receive instant rewards!